Bioelements CreateFirm Review (2018): Does This Serum Really Work? Bioelements CreateFirm, US $65 for a 1 fl. oz. bottle, is a serum that boosts your skin’s moisture and enhances its youthful contour. About Bioelements CreateFirm — Does It Really Work? Bioelements is the brainchild of one of the first few licensed estheticians in the US. 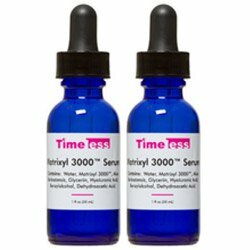 After years of experience taking care of different types of skin with a wide variety of needs, she used her unique experience and understanding to create a spa and, later, a skin care line that delivers exactly what every skin type demands to stay clear, clean and young-looking. To this day, the objective of Bioelements remains the same, that is, “to create products and treatments that target the uniqueness and range of all skin types and concerns”. 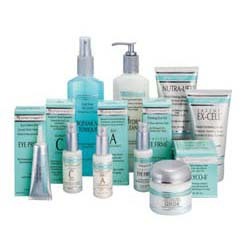 Help your skin resist multiple signs of skin aging and prevent premature aging. Boost your skin’s moisture levels. 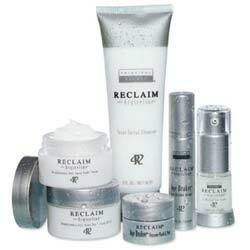 Rebuild and restore your skin’s protective barrier protection to shield it from damage and also keep the moisture in. What Are The Ingredients In Bioelements CreateFirm? 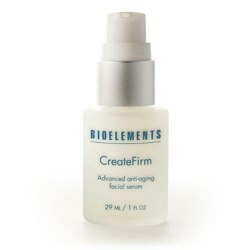 Bioelements CreateFirm must only be used on skin that has just been thoroughly cleansed and toned. Evenly spread the serum across your face, neck and chest using upward strokes. Allow the product to sink in well before following through with your favorite moisturizer. Use every morning. Always layer your morning routine with sunscreen to amp up your skin’s protection from UV and other skin damaging environmental elements. The manufacturer recommends using this with Sleepwear for your night time routine. Bioelements CreateFirm reviews posted by users indicate that just a little of this solution can go a long way, and that 1 bottle can last up to 2 months or even more. This product does not contain parabens, synthetic dyes, and artificial fragrances, and was never tested on animals. Most used posted reviews give this product a high rating. This product contains gluten and, therefore, might not be suitable for you if you experience any adverse reactions with gluten or, if you are deliberately trying to avoid it from your diet. Bioelements CreateFirm reviews indicate that the claim regarding improving skin firmness is not always achieved for every user. Does Bioelements CreateFirm Have Any Side Effects? Skin irritation and allergic reactions due to several ingredients, including botanical and synthetic components, depending on your skin’s tolerance for these ingredients. Increased risk for diseases associated with the reproductive organs due to EDTA. Bioelements CreateFirm offers a fairly unique lineup of ingredients that combine both botanical and synthetic components to deliver what this serum claims to be able to do. However, it is possible that even as you find this product suitable for your skin, it may not be able to accomplish its tall claims and, sometimes, that’s just the nature of human skin — it cannot be easily tamed.